After discovering Aaahhh Records some number of years ago, (Uniform Motion’s Pictures was one the first reviews I did for the blog) they’ve definitely come a long way. They’ve added great acts to their roster and continue to deliver some of the most amazing indie folk compilations available. And yes, they’re still offering everything absolutely free! Chuck Morgan is one of such additions back in 2012 and he’s definitely got that special touch as well. His self-titled debut EP echoes with a beautiful sonic presence. Armed with an acoustic guitar and gorgeous melodies, it’s a record that’s a potential staple on your playlist. 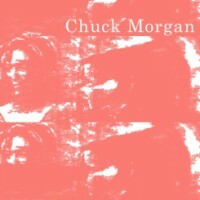 Chuck Morgan is twenty-something singer/songwriter from Sweden. Specializing in creating raw and “unsmug” acoustic indie folk, his music easily charms listeners. Coupled with a mesmerizing and unscripted feel, his debut EP easily impresses without much effort. Opening his mini-album is Yearbook, a slightly uptempo acoustic pop single that defines the musician’s style down to a tee. With the slightly hazy vocals and the catchy pop melody; listeners are sure to find this a great welcome track. Following closely is Down The Aisle, a soothing slow song that includes beautiful lyrics. The remaining two tracks, Dependence Day and Receive, finish off the beautiful set. The latter one, particularly, is a must-listen single. One of the best ones in this compilation if you ask me. Overall, the EP is tailor made for indie folk pop lovers out there. If you’ve always loved releases from Aaahhh Records, this one won’t disappoint you. Take a listen and grab the download right now.